The Saints were my best bet of Week 17 – Teddy Bridgewater and Dwayne Washington getting starts and facing 4th-string rookie QB Kyle Allen, who just found out he was starting that week. At New Orleans with Teddy B. with something to prove…it was a ‘lock’, as far as meaningless games can have ‘locks’. …the next thing I know it’s 23-0 Carolina at the half…and lucky it wasn’t worse. It did get worse…30-0 Panthers entering the 4th-quarter. The Saints finally scored, but not enough for me and my lost money…the Saints were mercifully defeated 33-14. It’s the risk of betting Week 17…what team is actually motivated and what team isn’t. I was on the wrong side of things. It was the only Week 17 Blazing Five game that I lost…but it was the one I put some real money on and lost (offset by a KC win/cover as my other best bet). A lot of fresh names got a chance to play here, let’s take a look at them and others. -- I remember walking away from watching this game live thinking Teddy Bridgewater (14-22 for 118 yards, 1 TD/1 INT) had really blown his opportunity – a spot start, albeit a meaningless game, but it’s all Teddy had. One chance to dazzle…to raise his price in free agency. Down 30-0 at one point, the Saints barely able to move the ball…I was disgusted, and I started watching other games taking place. On my re-watch of this game, my faith in Teddy was renewed. He looked terrific at times. The velocity on his passes and his ball placement – he really has a ton of talent. I don’t know if any coach or GM would know it if they saw it, so he may be scrambling around again in free agency…but I think Bridgewater is a legit NFL starter, has fantasy-upside (depending upon landing spot), and could help a team win a Super Bowl – which might make him a great Jacksonville Jaguar (although I’d hate that for fantasy). …lose faith if he’s ignored and mistreated in free agency. However, he should land somewhere with a chance to start. -- Kyle Allen (16-27 for 228 yards, 2 TDs/0 INTs) joins a growing list in 2018…a list of QBs who have no business starting an NFL game, forced into starts by injury above them, and they walk in with little time working with the offense – and they just dance through NFL defenses. The NFL is VERY difficult and requires 25 hours a day of study developing complicated game plans…so difficult that 4th string QBs who have 5 days’ notice to start after recently joining the team just go in and waltz right past their opponent. That being said…Kyle Allen is not a future sleeper or stash in anyway, at this stage. Nothing on display here changed my mind about that. I’m just shocked how unafraid he was in this spot. -- Hey, Dwayne Washington (11-118-0, 0-0-0/0) got to play a bunch…and ran for 100+ yards. That’s the end of the good news for those of us who still deep-sleeper-believe. Mark Ingram started, and Washington came in like the 2nd-half and was just running basically plays. Washington, the ex-college WR talent, and assumed ‘Kamara-alike’ for the Saints…it would be a good time to work on that, no? Well, DW saw no targets in this game. No effort by the coaches to do anything with him besides run the clock and get the regular season over with. His deep sleeper status stays…DEEP. 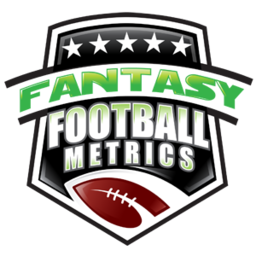 -- Cameron Artis Payne (16-56-1, 2-2-0/2) was one of my FF-sleeper plays of the early Week 17 process, and then I saw all this hype about Christian McCaffery (4-8-0, 1-22-0/1) needing 75 yards for 2,000 yards for the season…and I got worried about CAP because of CMC playing too much. I assumed, early in the week, that McCaffrey would sit and not waste his time in this meaningless game…but I also know NFL head coaches have zero business sense – so, anything was possible by late in the week. 1) Why the hell was Christian McCaffrey even playing? If he wanted the 2,000+ yards, which seemed like the only reason…fine, I guess – but then they take him out after the first series and leave him 45 yards short???????? Like, what purpose did him playing serve? I’d say it’s the dumbest thing I’ve seen this year…but there are so many dumb things I’m not sure I can properly rank them. This had to be right up there. Many people comment to me that they hope I don’t join an NFL team in their personnel department. Seriously, look at the decision these people make on an hourly basis – do you think they would care about anything I said? You assume they think they need help managing/drafting/evaluating personnel? 2) Cameron Artis Payne looks like it’s time for him to look into insurance sales or a nice radio job back at Auburn – his NFL career never really got started, but he looked quite s-l-o-w in this game. He was never that fast to begin with. -- Boy, Ian Thomas (5-61-1/7) just took the ball and ran with it once Greg Olsen finally hurt his foot for good/gone. He has some strong TE1 momentum going into 2019…if Olsen does not zombie his way back into the mix. -- I should get some credit for this call, right? The call I made this preseason and for several weeks into the season… That Curtis Samuel (2-72-1/4) was the best WR the Panthers possessed. I’ve also complained that Norv Turner was too stupid to notice Samuel as his top WR talent (instead, preferring to start Torrey Smith and Jarius Wright). Ring me up for another victory on that call. Turner tried to deny Samuel for half the regular season until they could no longer not-see the obvious that everyone had been seeing (and Torrey Smith got hurt)…only I was the one who saw it months ahead of all that. Potentially, Samuel goes into 2019 as the Panthers’ #1 WR. The mainstream will say it’s D.J. Moore, but I am seeing Samuel take the lead in the type of targets Cam was giving and the type of leadership role Samuel was assuming late in the season – the voice of the WR group. …oh, and he’s much better all-around than Moore…clearly…to me, not to the entire NFL establishment. Even D.J. Khaled comes around to my point of view in the end. Curtis Samuel will be a value in fantasy 2019. -- The Saints traded a lot to draft DE Marcus Davenport (2 tackles, 0.5 sacks, 1.5 TFLs, 3 QB hits). He didn’t have quite the impact they hoped, but he was always developmental compared to a Bradley Chubb. Davenport ended with just 4.5 sacks, 6 TFLs, and a promising 12 QB hits in limited play this season.